Eager to explore the Aegean Coast? You're not alone. 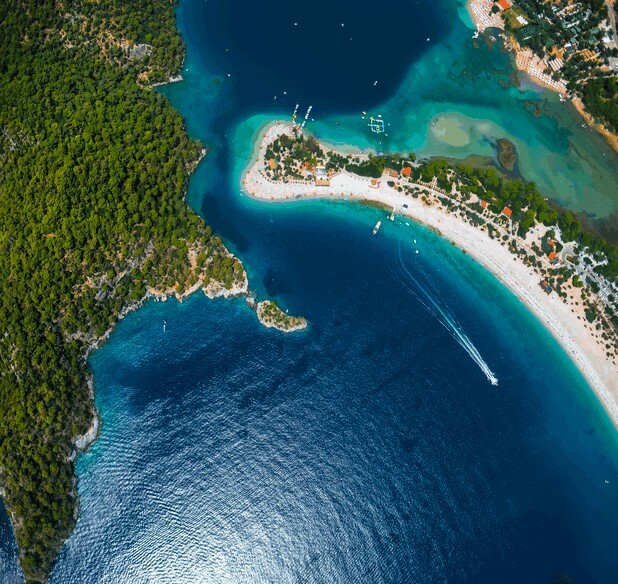 The golden stretch comprises of famous names like Muğla, Bodrum and Fethiye, which are all filled with rich history and jaw-to-floor sights. The real question here is simply where to start? To save you time, we've shortlisted our must-see sights from across the coastal sweep. From ancient ruins and captivating castles to boast-worthy beaches, you won't want to miss these stops off of your Turkish hitlist. 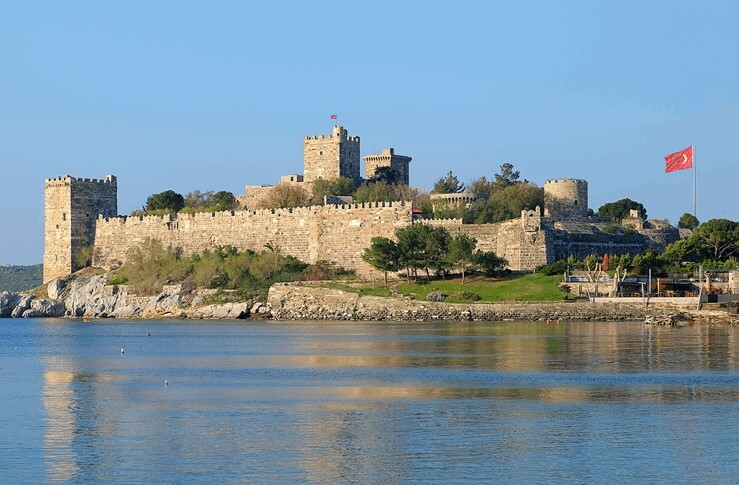 Immerse yourself in the history behind the battlements of Bodrum's magnificent 15th-century castle. A must-see sight for history buffs, with splendid views of Bodrum town's harbour and beyond. 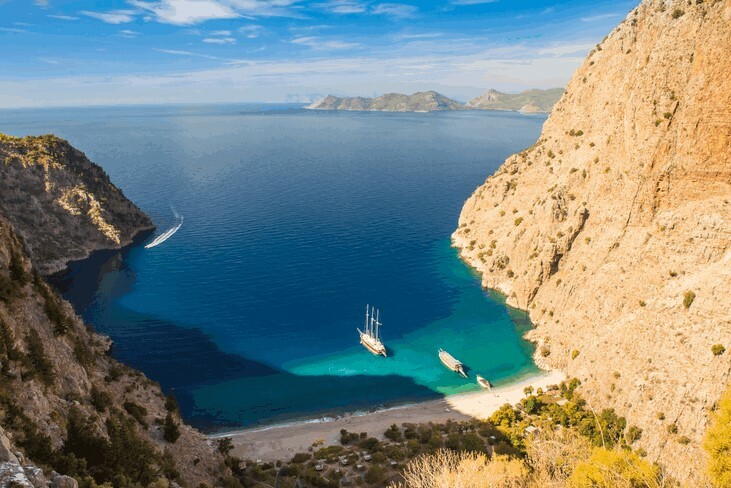 Set sail towards Fethiye’s Butterfly Valley. Intrigued? Well, it is a truly remote beach full of butterflies - no prizes for originality there. It is only accessible by boat, but it is well worth the trip. The Tomb of Amyntas is one of Fethiye's most recognisable sights. 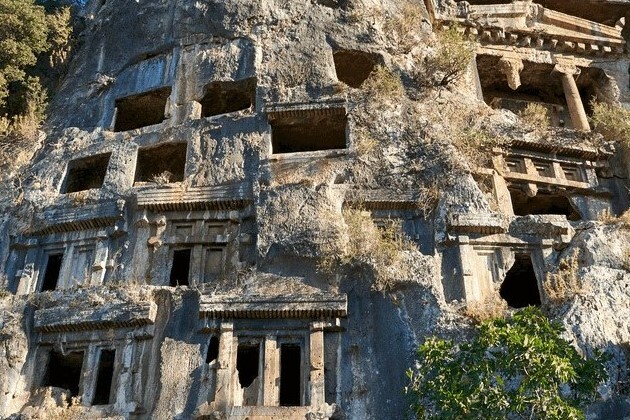 These amazing structures were carved into the rock face in 350 BC in honour of Amyntas son of Hermapiasas - have your cameras at the ready, you're going to want to remember these awe-inducing ancient wonders. Lake Köyceğiz is a serene and placid lake located by Dalyan. A few hours by this ecologically significant lake will have you and your family feeling super chilled out - and isn't that what we all want from a holiday? If you're all about the Aegean Coast, then we have many villas in Turkish Aegean.